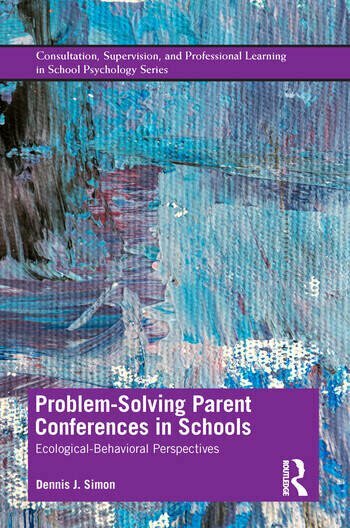 Problem-Solving Parent Conferences in Schools presents a Problem-solving Parent Conference (PPC) model that integrates and applies empirically-supported systemic and behavioral intervention strategies to coordinated home-school interventions for student behavioral and social-emotional concerns. Though today’s schools seek to further understand student behaviors from ecological and systemic perspectives, there are limited resources available on how to effectively collaborate with families—a key social-environmental context. This unique book engages parents and teachers in a five-stage protocol towards more effective student support. These evidence-based, change-oriented approaches will be essential for graduate students in school psychology, school social work, and school counseling programs; in teacher preparation; and in any related course focused on parents and families in school settings. Its resources are also critical for mental health practitioners who work with children, adolescents, families, and schools. Dennis J. Simon, Ph.D., is a licensed clinical and school psychologist with over 3 decades of experience within elementary and secondary schools. For 14 years, he was Director of NSSEO Timber Ridge Therapeutic Day School, a zero-reject public program serving the Chicago area. His career has centered on program development and psychological interventions for children and adolescents experiencing social, emotional, and behavioral disorders. His work has focused on the adaptation of evidence-based strategies to school-centered interventions. He is co-author of the Developmental, Ecological, Problem-solving clinical supervision model that supports training in evidence-based intervention practices. He has been Lecturer in School Psychology, Clinical Psychology, and Teacher Education Programs at Loyola University of Chicago, USA.